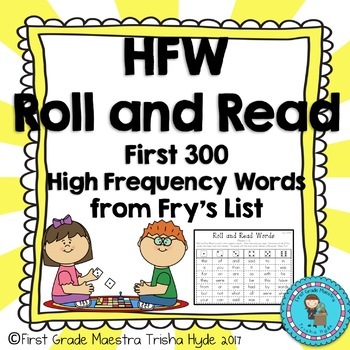 High Frequency Sight Words Game No Prep Center Fry's List. My first graders beg to play this game. 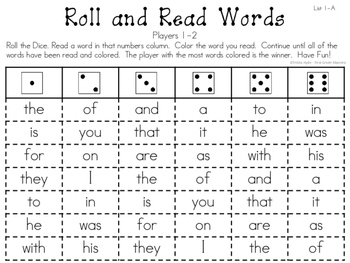 It is highly engaging and it is so easy to prep and have copies on hand for small groups or centers. The Directions are: Roll the Dice. Read a word in that numbers column. Color the word you read. Continue until all of the words have been read and colored. The player with the most words colored is the winner. Have Fun!